Naturally caring and relationship-driven, Katelyn McGrann was inspired to become a real estate broker so that she could help others live their best life. While working as a dog groomer at Shaggy Dog Pet Grooming—a local, family-owned business—Katelyn dreamed of a career that offered more flexibility but still allowed her to enjoy everyday interaction with clients who often become like family to her. Katelyn had finished the pre-requisites for Oregon Health & Science University’s Radiation Therapy Program while attending Running Start as a student at Washougal High School, so she applied for admission to the University’s highly competitive program but was put on the school’s waitlist. Katelyn was inspired to enroll in real estate school after talking to her sister-in-law, Michelle McGrann, who is a broker at Columbia River Realty. “I finished my first class and said, ‘This is probably the first class that I’ve taken that I haven’t looked at the clock or dozed off; it was really interesting to me!’” says Katelyn. 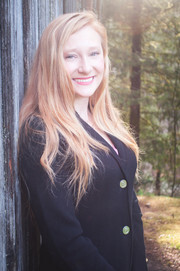 After earning her real estate license, Katelyn joined Columbia River Realty where she now works alongside Michelle and her cousin, Angie Tauialo-Jones, who is also a broker. Katelyn also recalls looking at homes as a small child with her parents and brokerage owner, Charline Wright. Fellow broker, Susan Valaer, was her 4-H leader. “Community and family are important to me, so Columbia River Realty was an easy choice,” says Katelyn. Today, clients appreciate Katelyn’s approachable personality, strong work ethic, and determination to help them reach their real estate goals. “I’m persistent and continually strive to help my clients,” says Katelyn, “whether that’s finding a way through a roadblock so that they can reach their original goal, or setting another, better goal. Life has taught me that when one door closes, another door opens."